When you spend an extra $20-30 per night for a view of the Las Vegas strip, you are not guaranteed the best view, just a view. My most recent trip to Las Vegas, I stayed at the Cosmopolitan. I booked a fountain view suite. Because I enjoy staying in suites at this point, and I was willing to pay the extra money for the fountain view. It was worth the money, and spectacular. Look at the photos. About ten years ago, I stayed at the Bellagio, I paid for a fountain view room. Yes, I could see the fountain, but I was all the way at the far north end of the hotel tower, so my view of the strip was limited. It was sort of worth the money, but I felt a bit ripped off. Yeah, looking out at Paris lit up at night, and seeing the fountain show was great, but I had to put my forehead against the window, to see further south, and my view north was partially blocked. 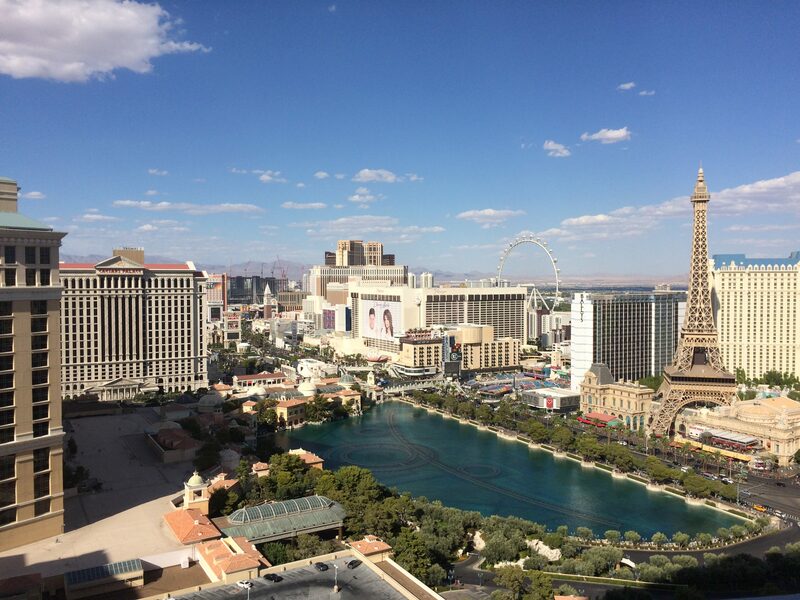 Paying for a strip view room at Mandalay Bay, Luxor or Excalibur is sort of a moot point. Your view will be either of the airport or if you get a decent placed room, you might be able to look further north to see the strip lit up. Not worth spending the money. MGM Grand, New York-New York, Tropicana, and even the Park (formerly Monte Carlo) offer strip view rooms, but again, placement. Not really worth spending the extra money. 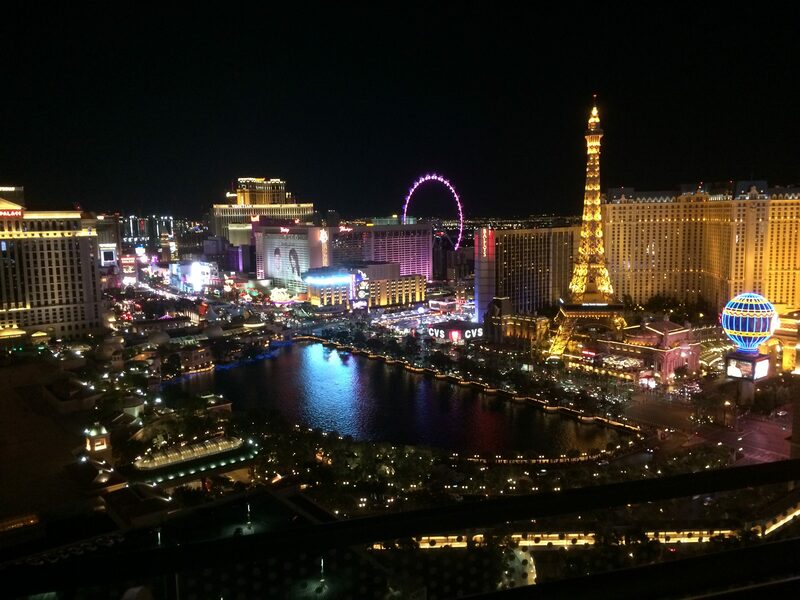 Waldorf Astoria, Vdara, and Aria, can offer decent views, but that is up to you to spend the extra money. Cosmopolitan, if you want a strip view or fountain view, you pay extra. For my stay, worth it. I had a great view of the fountain and Las Vegas lit up at night. I could not look south, but no big deal. Bellagio itself, depends on where you are located. If you are closer to the center of the hotel tower, you have more spectacular views. 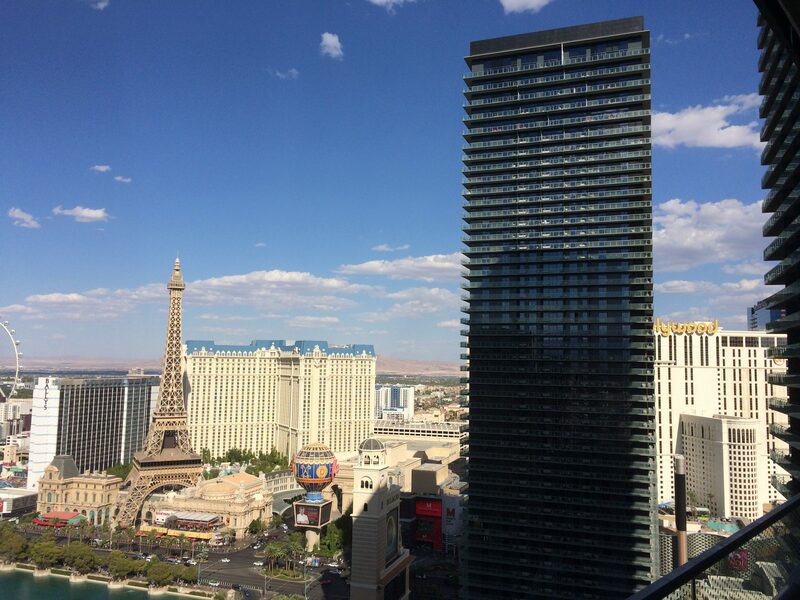 Planet Hollywood, and Paris are across the street from Bellagio, and the strip view rooms depend on location. 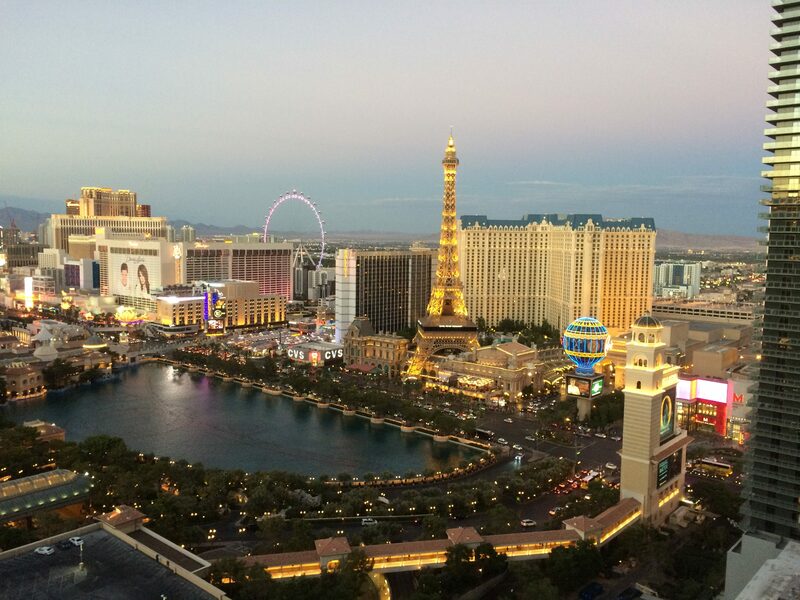 If you get a center hotel room at Planet Hollywood, facing the fountains, you will have spectacular views. Forget about Bally’s to some extent. The way the towers are angled, there really is no good view. Caesars Palace is another iffy proposition. Cromwell does offer some decent views. Then you have Mirage, Linq, Flamingo, Harrah’s, and Treasure Island, all offer some strip view rooms, but you have to decide is it worth paying the money, for a possible decent view. Venetian, Palazzo, Wynn, and Encore, might as well forget paying the extra money, and sink the money into a different upgrade. When it comes to a strip view, do you really care? For me, I have been to Las Vegas twenty times, I have been lucky enough to get rooms with decent views, I have paid specifically for the view, and been somewhat disappointed. What it comes down to is how much will you pay? A suite with a strip view will more than likely offer a great view, compared to a standard room. I read the article by Tyler Dunne. I have not watched professional football in a few years, but I still follow what is going on. Knowing something about professional sports is a very good conversation starter, and way to interact with the vast majority of people. The article is not overly shocking. It does explain somethings that have been going on for a long time. Not being an armchair coach, but I have seen enough of the Packers to know that there was something not right. When should alarms have gone off? When should upper level management taken care of the situation? I joke to people that Mike McCarthy owes me $1000. Back during the 2011-2012 season, the Packers went 15-1, and had a very easy playoff schedule. The teams the Packers could have faced were not of the same level, and the Packers, whom won 15 games could blow out any of the opposing teams. 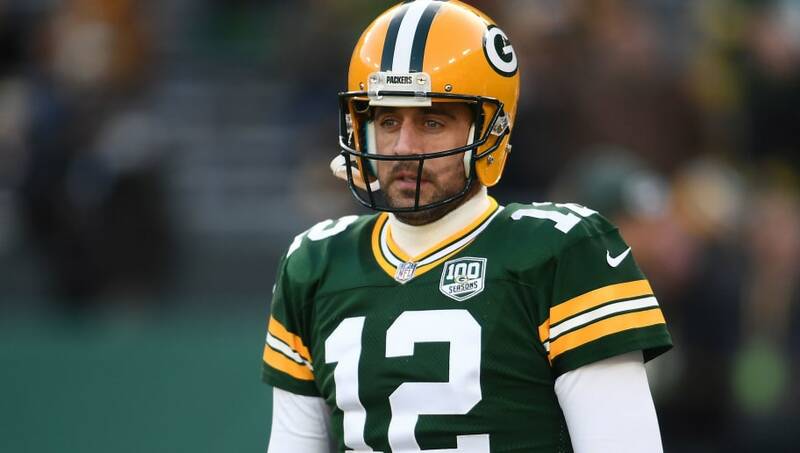 The Packers had beaten the Giants in the regular season, and would have beaten the 49ers the following week, but the Packers lost to the Giants. Why? McCarthy had decided to not play many of the starters, because the game against the Lions was meaningless. When I heard this, I almost threw away the tickets I had from a trip to Las Vegas. I had bet a total of $150 for the Packers to repeat the NFC Championship and Super Bowl. The total payout would have been $1000 had the Packers done so. My first thought was “Was McCarthy not aware of the Colts?” Years previously the Colts coach sat out the starters for a meaningless last game. The Colts lost in the first round of the playoffs, after the bye week. When starters are sat the last game, it means the starters will not have played a football game for three weeks. Those starters tend to get out of pacing. Going into playoffs, where the games are that much more aggressive, not being in tune or at pace with the game is disastrous. Even if McCarthy played his starters a few downs or even half a quarter, the players would have been in football mode. Instead the Packers went stale. The game against the Giants looked as if the Green Bay high school team had put on Packer uniforms. After that season, the Packers slid into mediocrity. Becoming perpetually competitive and in the playoffs, but never getting to the Championship again. Alarms should have been going off!!! Upper level management is as much to blame in wasting many years of Rodger’s life, and denying fans more Super Bowl victories, as McCarthy. Allowing any animosity to continue, and accept just being in the playoff picture, rather than demanding Super Bowl wins, is the fault of upper level management. I personally do not care if Rodgers did not like McCarthy. Ultimately Rodgers is the one who throws the ball, and wins games. A brick with googly eyes glued to it could be a coach, with Rodgers as QB. The sad part, McCarthy was a decent guy, a decent coach, but his past record after a Super Bowl win shows he might not be as good as he thinks. People can blame the Packer’s defensive coach, and other coaches, even players, but last season showed, McCarthy had ridden a Super Bowl win for too long. I do wish him well. Now the Packers, even Aaron Rodgers have to move into a mode that will help deflect the attacks. Most Packer fans are now scratching their heads, and ready to nit pick. Matt LeFluer was more than likely aware of problems within the Packer organization. Men do not take coaching jobs for teams they feel they cannot coach because management is too micromanaging or the players too un-coachable. I will not be watching many games this year, but I will be paying attention to the drama that will sure be coming out in sporting news. Unboxing of the Brady Bunch Funko Pops collection. Enjoy them, but there is one disappointment.